“It feels like another country,” she said Tuesday as she joined dozens of other South Koreans on a bus tour of the Army garrison, which is expected to become Seoul’s version of Central Park after the Americans finally turn over the keys. The tours, which began late last year, have given many South Koreans their first chance to step inside Yongsan, which is spread over some 630 acres in one of the trendiest neighborhoods of Seoul. For decades, the garrison has offered American troops and their families all the trappings of home — including schools, a hospital, grocery stores and a golf driving range — even as it was engulfed by a burgeoning Asian metropolis that rose from the ashes of the 1950-53 Korean War. 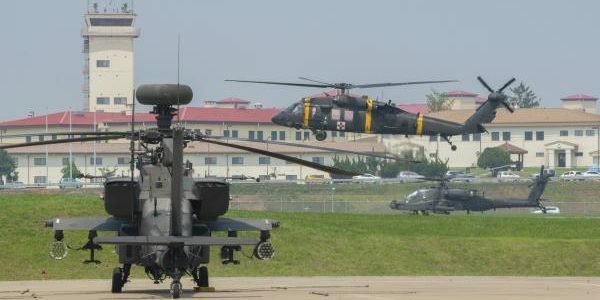 But the military moved its headquarters to a newly expanded Camp Humphreys, about 55 miles south of Seoul, last year as part of a frequently delayed relocation plan that was signed in 2004. Yongsan, meanwhile, has been steadily closing facilities and resembles a ghost town, although 8,000 people are still based here. The garrison is planning to largely vacate the property in the summer of 2020 as it begins the transition process, although no handover date has been set, according to the public affairs office. “I couldn’t ever imagine that we would ever be able to see this place, and I hope that now it becomes a park so more people can come and see our own history,” said Park Young-mi, one of some 70 people who were chosen by lottery to join the tour. Eager to gain control of what has become prime property, South Korea’s Ministry of Land, Infrastructure and Transportation has a three-stage plan to transform the land. The first step is to develop a plan for the green space and the nearly 1,000 existing buildings, 110 of which were originally built by Japanese occupiers in the early 1900s, according to Kwon Hyuck-jin, the ministry’s director-general for urban policy. The government will then collect opinions from the public before making an official decision, he said. The ministry, with help from the garrison, has led more than a dozen bus tours since November. The biggest surprise for many was to discover that the base is full of historical sites ranging from ancient funerary statues to guard posts and other buildings built by the Japanese Imperial Army that occupied the country from 1906-1945. The first stop of the tour was a red brick building that housed the Japanese army stockade, which was built in 1909, according to a plaque. It’s pockmarked with bullet holes from the subsequent Korean War. Shin said the complex was a grim reminder of the brutal Japanese occupation that began a rivalry the two nations have yet to overcome. Other sights included the so-called White House, which used to be home to U.S. 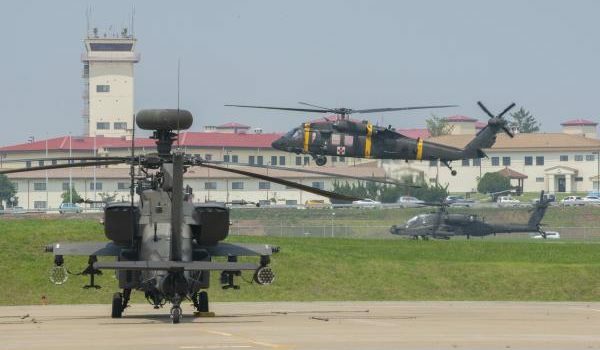 Forces Korea and is still headquarters for the U.S.-led Combined Forces Command. A stone bridge that crosses the Mancho stream, which used to run freely through the city but has been covered with concrete everywhere else but the base. Kim Hee-jung, a 35-year-old teacher at the nearby Sookmyung Women’s University, addressed concerns that private developers may try to grab the property. “Rather than making an apartment complex, I want it to be turned into a park that we can share together, a place to share,” she said. Min Woon-ki, a 71-year-old South Korean veteran, said he served with American soldiers in the late 1960s and was enjoying a glimpse of his old stomping grounds. As the bus drove past the hospital, he recalled one of his comrades who was wounded and taken there to be treated. The cherry blossom trees that line one of the main roads on post provide a vivid example of the park it may become. Kim Chun-soo, a local historian who served as the tour guide, said the trees had originally been planted by the Japanese and have been maintained by the Americans. “The Japanese army used this road during big maneuvers and events, so they planted the cherry blossoms tree because it’s their national flower,” he said.